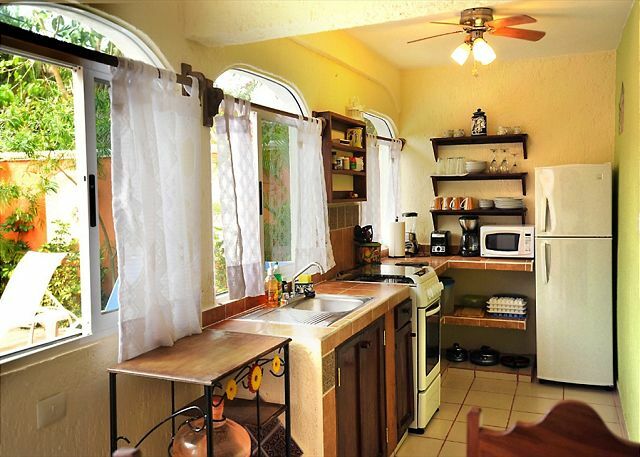 2 bedroom, 2 bath private home, newly remodeled with lovely pool and walled patio. Charcoal BBQ and outdoor shower. Well equipped kitchen, TV/DVD, wireless. Two twin beds in one bedroom that can be pushed together to be a king. Also a sofa bed in that bedroom. The other bedroom has a queen and there is another sofa bed in the living room. Lots of space for a family. Only 2 blocks from the beach and 4 blocks to the town square, located on a quiet back street in a safe, peaceful neighborhood. Our English speaking manager can help you have the perfect vacation. We can help arrange individualized tours and excursions. Rooms Sleeps 6, Base rate for 4 guests. Extra person per night $40 plus tax. Sleeper sofa sleeps 1 adult or 2 children. We stayed almost 3 weeks in Casa Primavera this year. In fact this is our 5 year at this property. We love the house, the pool, the privacy, and the staff who care for the house and pool. Benjamin is a delightful and very responsive worker. Also the staff at Abbey del Sol worked very hard at finding us another place to stay after, at the last minute, we decided to extend our stay in PM. We have always been very pleased with Milko and the Abbey del Sol staff. We very much appreciated the added amenities, such as daily cleaning, free laundry, great Wi-Fi, and Netflix. We will be back next year. 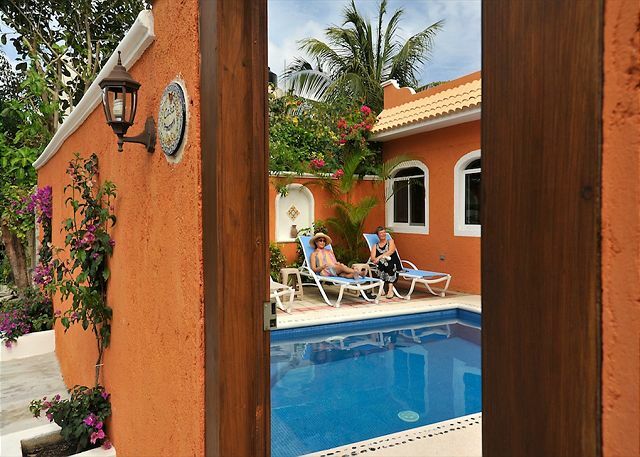 Casa Primavera was one of the best travel experiences,we have ever had. It was spotless,totally equipped,countless touches we have never found anywhere,very close to beach ,private, extremly comfortable, in short SUPERB,Milko, the owner was a gentleman and a great host We would gladly recommend to our friends and relatives.Had a fabulous meal at Pelicanos(seafront) and great pub grub at Habeneros(ask for Roberto).Were already heading back for another stay . I cannot say enough about the service from Abbey del Sol staff. They answered every question I had in a very timely manner. And once we arrived they were very attentive to our needs. Of course, we did not need much as the House was clean and well stocked. There were five of us and no one had a complaint about anything. The house, Abbey del Sol staff, the town, the beach, the people and the weather made our one week stay a fabulously relaxing and easy vacation. Four of us shared the house for a week, then two of us for another week. This is our fourth time at CP and we have loved every year. This year we especially liked the little touches, like new paint on the outside wall, a hanger for wet cloths, a juicer, and especially the maid service. Benjamin (Pool management)was especially nice and very thorough. We will be back next year. Good quiet rental property, in a nice location (convenient walking distance to everything). Best suited for 4 people. Well equipped however could use a tea kettle, a bit more cutlery and more shelving in kitchen, dining room and water closets. Would also be helpful to have a clothes line or more hooks outside by pool for drying pool towels and wet bathing suits. Overall enjoyed my stay. We were lucky to stay in Casa Primavera. What a great spot! Fabulous dunking pool, well appointed and comfortable abode. Bed was very comfortable. Kitchen was complete...even though all we used was the coffee maker! Milko and Nancy helped make our stay memorable. We will be back! Our stay at Casa Primavera was peasant. House was clean and cared for. Only 2 drawbacks. First is the step leading in or out of the pool was very deep and made it difficult to get in and out. Particularly true for those with knee problems or elderly. Second, sofa set was pretty uncomfortable due to the wood frame pushing through the cushion. Not comfortable for sitting to watch TV. I stayed at Casa Primavera in 2014, and returned with my husband this year. There was never any doubt about staying at this wonderful location. 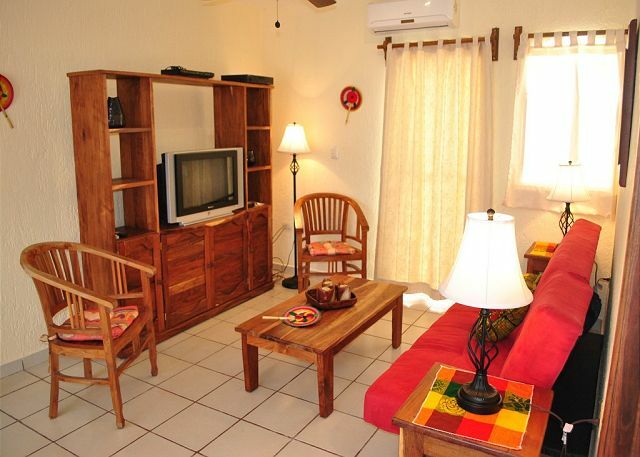 It is quiet and private, but only a short stroll to the town centre or beach. The enclosed pool area is a fabulous perk, with beautiful vegetation. The house is clean and very well-appointed; the entertainment system, A/C, internet access, and living room furniture had been updated since my last visit. Staff were always available, but never intrusive. It was like a home away from home for us! We'll definitely be coming back to Casa Primavera. the property was beutiful, warm, we had a wonderful time, i loved everything in detail. We stayed here for 2 nights, to scout the town for future trip. 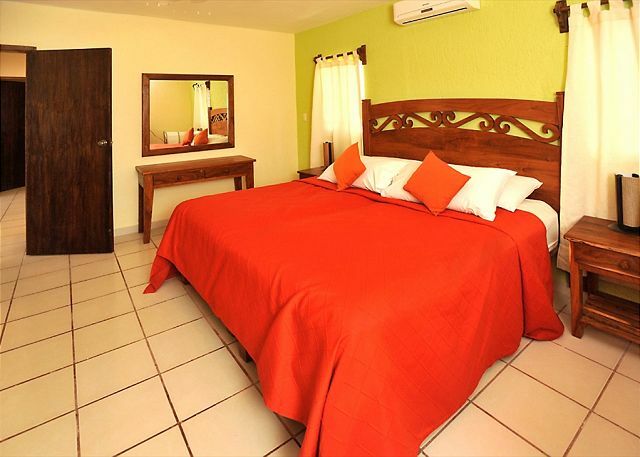 Casa Primavera is a wonderful place to stay. Milko was great and checked on us when we had a power outage. The staff of Abbey Del Sol was incredible, especially Nancy. They attended to all our needs and beyond. What a beautiful place. Case Primavera was exceptionally clean and comfortable, and Mirco and the staff were exceptional. We WILL be back! We were here for two weeks with friends joining us the second week. Milko was very attentive to our needs. He and Viktor even helped us put up a clothesline! The home was recently refurbished with new tile and appliances . This is a great location just two blocks form the beach and a short walk downtown. The pool and courtyards are very private and quiet. Perfect for a winter getaway. In fact I never slept better. Everything about this vacation rental was fabulous! From the on-time pick up to the ride back to the airport. The rental was extremely clean including the pool. Everything was well maintained and if there was a problem it was dealt with in a timely and efficient manner. The rental was well equipped with everything you would need including books to read!! The beds were comfortable and so where the lounge chairs by the pool. Lots of hot water!! The centre of town was close with fabulous restaurants. The people were very friendly and helpful. It was also easy to jump on a bus and go to the grocery store or into Playa del Carmen or Cancun!! Would highly recommend and will definitely rent again. Casa Primevera was a lovely little slice of heaven during our week in the Yucatan. 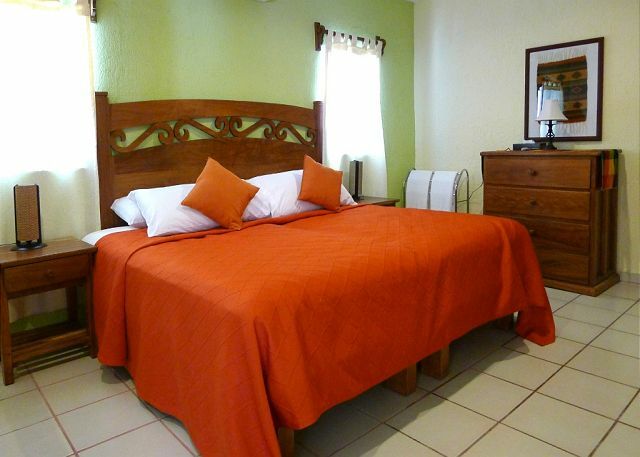 The house is the perfect size for two couples, and provided us with even more amenities then we had expected. The grounds are charming and private, the pool is delightful, and the grill was an added bonus. Having optional air conditioning in the house was a real treat at times. We felt tucked away enough to be secluded, yet were only a ten minute walk from the town square. The Abbey del Sol staff were pleasant and knowledgable. Having an endless supply of DVD's at the office provided a nice activity for a quiet night in. I look forward to returning in the future! Our stay was wonderful from beginning to end. The house was clean and everything was in pretty good working order. The pool area and BBQ area were kept spotless daily. The location was perfect! Having the private pool was the highlight for sure ! The only thing that we would suggest is that the house be stocked with two beach umbrellas. Other than that it was perfect! Our time at Casa Primavera was as perfect as could be. The house is beautiful and well supplied. The staff is charming and helpful. Everything we needed was provided. Puerto Morelos is an amazing place to visit, to rest and to soak in the local culture and sun. The house is just 2 blocks from the ocean and only a few minutes walk into town. We will be back again soon! We had a great vacation in Casa Primavera. This is our fifth time to PM, and the 4th time we have rented from Abby del Sol. 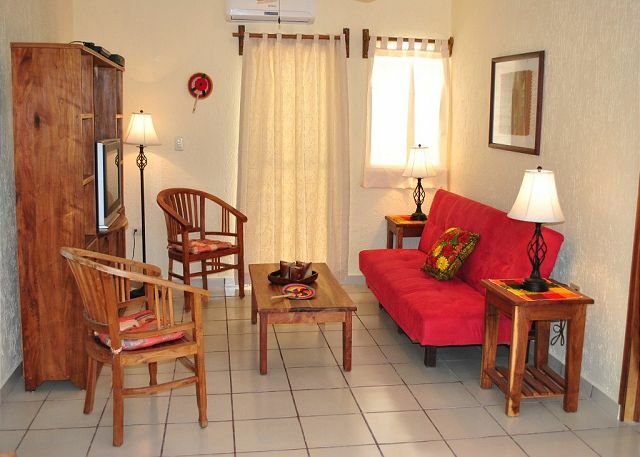 Their properties are always well maintained, well stocked and very comfortable. They are very attentive to our needs and are very responsive to any request. We also appreciated the use of the Vonage phone. 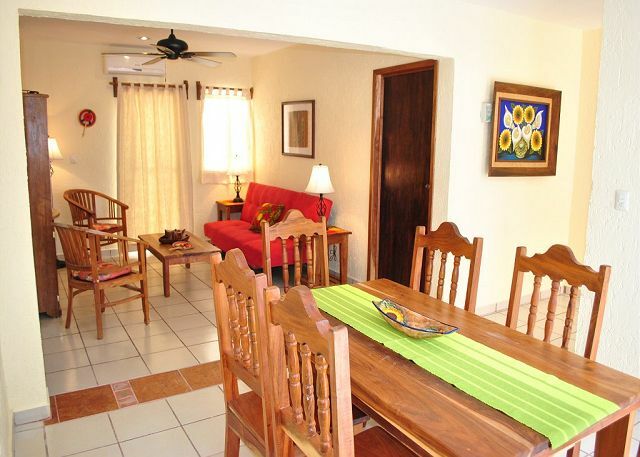 Casa Primavera is well-equipped, well appointed vacation rental. The owner Milko, is extremely helpful and available to address any questions or concerns. Being able to arrange transportation through Milko for getting to and from the airport was very helpful. We have booked through Abby Del Sol previously and will probably do so again in the future. We appreciate their high standard for cleanliness and service. Loved the courtyard and the privacy of our own pool just minutes from the beach and shopping. Our 5th trip to PM. Love the town. Keep in mind, this is a small town. In general very quiet. This is a trip to take and unwind. This time we stayed in Casa Primavera and loved it. A very clean 2 bedroom, each with it's own bathroom. Had everything we required: microwave, toaster, stove, fridge, DVD player, outdoor grill, coffee maker and most important, it's own small pool. The pool was perfect for cooling off, not big enough to swim in, but it is about 5 feet deep everywhere. This trip we dealt with Milko, the owner. He was great, checked with us about every other day. Had great recommendations. Obvious he cares greatly about being sure your experience is as good as possible. Nearby is the rental office staffed with great people. A special thanks to Nancy & Jin. It was a pleasure to meet Fernando as well. We'll be back again, for a 6th time. 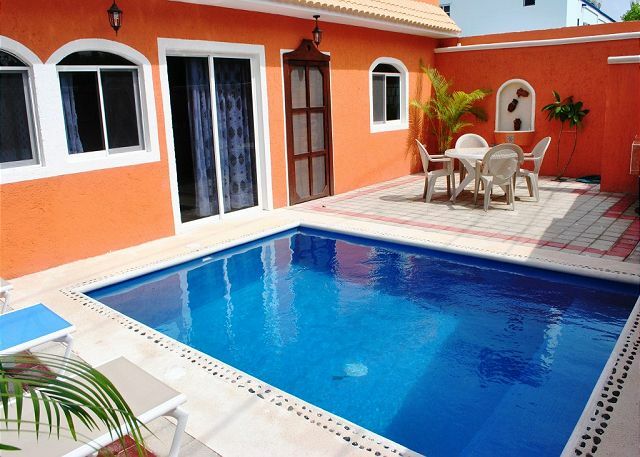 A beautiful well appointed villa with pool and glorious foliage. We had everything we needed and appreciated the excellent wifi and air-conditioning. Milko was very helpful both before and during our stay. Very nice place, quiet. The only problem is that the house is window againts window with the house in the back. Like having visitors you do not know. 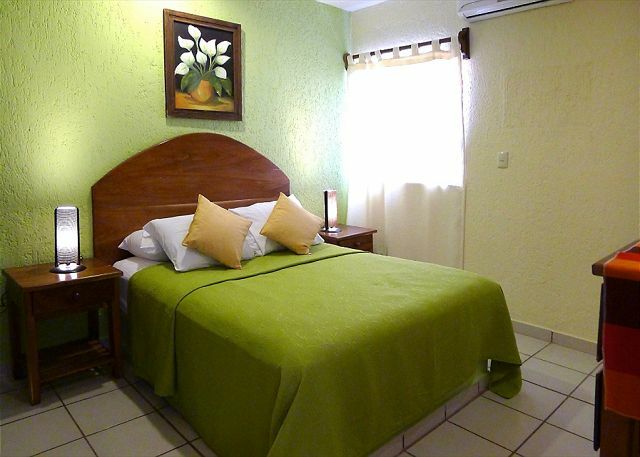 If casa Izamal is not rented, Casa Primavera is a small paradise. Otherwise, it might be trickier. Our family enjoyed the courtyard at Casa Primavera very much! The pool was refreshing and we could relax completely. It was a short walk to the spectacular beach which we did twice a day.Our place was comfortable.We felt at home there. Everyone we had contact with at Abby del Sol (Milko, Juanita, Nancy and Cecil) was awesome. Milko took the time to take us to a fruit/veggie market and grocery store. We couldn't have been more please with our stay. We have reserved for next year. Our group was two couples and this house was the perfect size and layout. Each bedroom has an ensuite so we had complete privacy. The courtyard and pool were great to relax by and catch some sun. There was a good mix of sun and shade at all times of the day too. The local geckos, iguanas and birds kept us entertained. We also enjoyed the BBQ grill and natural coals for a change. The location is a 5 min walk to the beach or 10 minutes to downtown and even closer to the meat shop, BBQ chicken shop and tortilla union. We hope to return in the next year or two. Casa Primavera...Best family vacation ever! Every step of the vacation from initial inquiry to final checkout was handled well with no problems. I chose this property because it was very nice and close to a friend of ours. When the whole family arrived, they were thrilled with it. Nice linens, dishes, fresh paint in lovely colors, proximity to the beach, awesome flowers / deck furniture, and everything we needed, wanted (and didn't even know we needed) was already there and in very good condition. Property manager was very responsive and helpful but the property was so well taken care of that we needed hardly anything from him. Impeccable pool and patio area. We love Puerto Morelos and would definitely return to Casa Primavera because it was the perfect place for our best family vacation ever. We loved the enclosed courtyard with a small swimming pool. 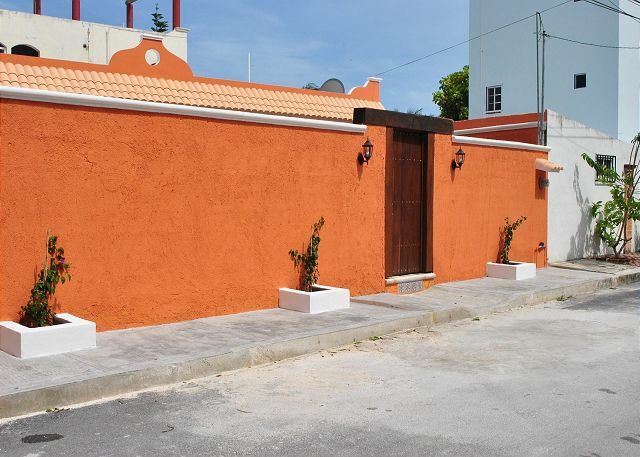 The property is located close to the beach, but is located in a quiet neighborhood. The staff was always very helpful if you needed them. Tania M does not recommend this vacation rental. Primavera is a lovely comfortable home. The bedrooms are large, and the beds are very comfortable. The home is well-equipped with everything you need. Its close to the beach and about 4-5 blocks to the center of town. The owner and management firm are both extremely attentive. We had a wonderful vacation. The pool is great! The property was spotless, very convenient, and perfect for our trip. The staff was friendly and helpful. We are already planning our return trip for next year. Close enough for comfort (to the town square), yet far enough from the night noise. 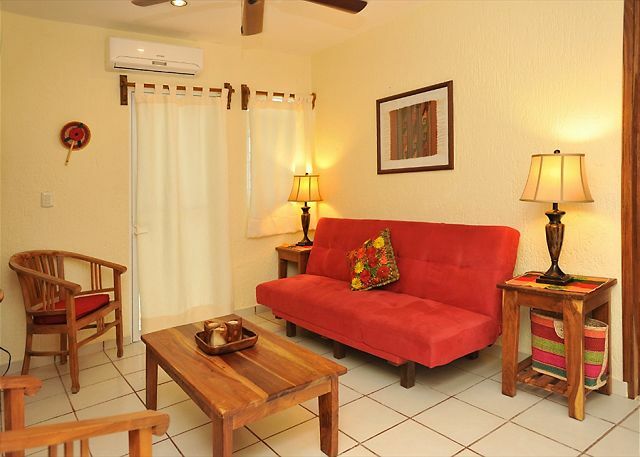 Casa Primavera is so cute, perfect size (2 bedrooms, 2 baths, with a nice refreshing pool/patio area.) Nicely decorated, updated, clean, etc. Professional staff/management. very a positive ratio price quality for this hiring, the personnel of the agency is pleasant and obliging. Our family really enjoyed Casa Primavera! It was very well equipped for cooking at home and privacy. We felt safe walking the streets any time day or night. We plan on visiting again soon. I am hesitant to write a good review because this great secret will get out. On the other hand, I think the more properties that are managed with Abbey del Sol as the standard, the better for everyone. 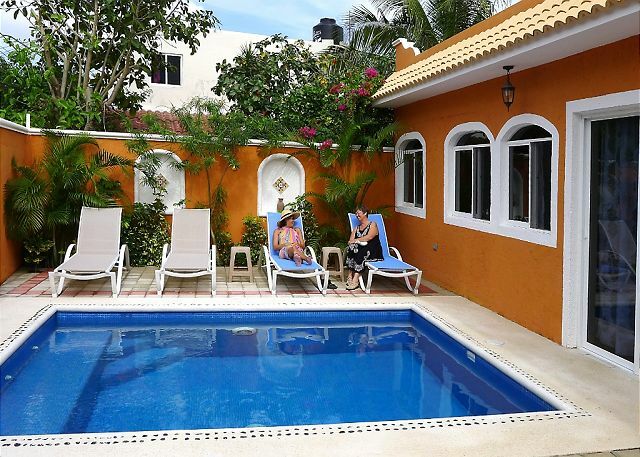 Four of us rented a comfortabel little house in Puerto Morelos for five days and enjoyed the experience. We were delighted with the on-site staff, the communication before and during our stay and the overall value of this rental. The only things that would have made this rental more enjoyable would have been to have had bicycles on site and one good sharp chef's knife in the kitchen. Otherwise, everything we asked for and/or expected was taken care of promptly. The staff were so kind, considerate of our needs and expecations and helped us with everything we needed. They were terrific. 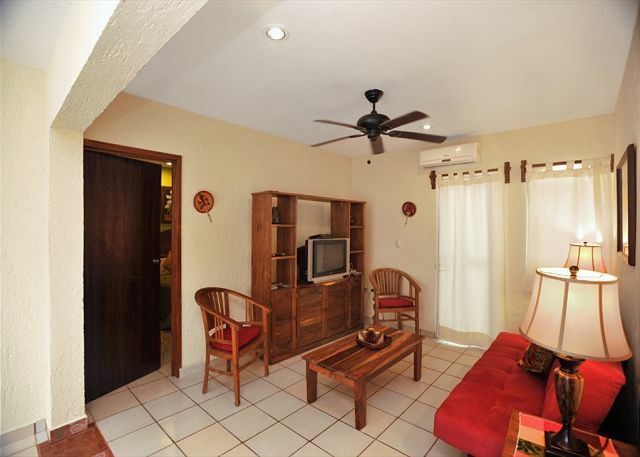 we had the opportunity to stay at 3 properties managed by Abby del Sol during Dec. 2012. All of them more than met our needs. Each house was clean neat and confortable. They had all the basics; hot water, toilet seats & paper, fans plus A.C. and internet and beach chair. We really enjoyed the hamock & beach umbrella where available. P.Morelos was peaceful being 8 blocks from the center also ensures that. 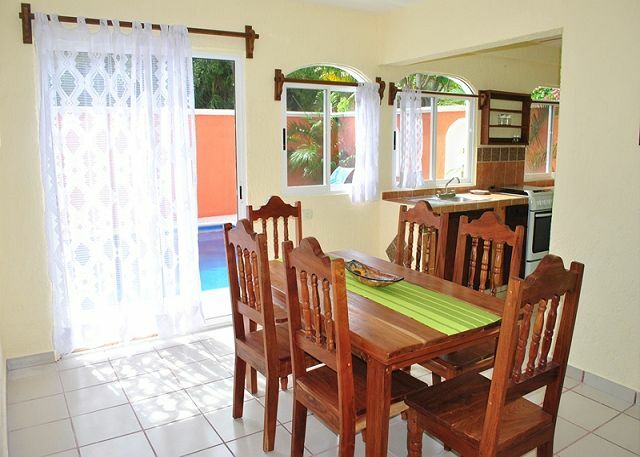 Casa Primavera is a really nice house that is close to everything, no need for taxi's. The staff were really friendly and helpful. They really go the extra mile. 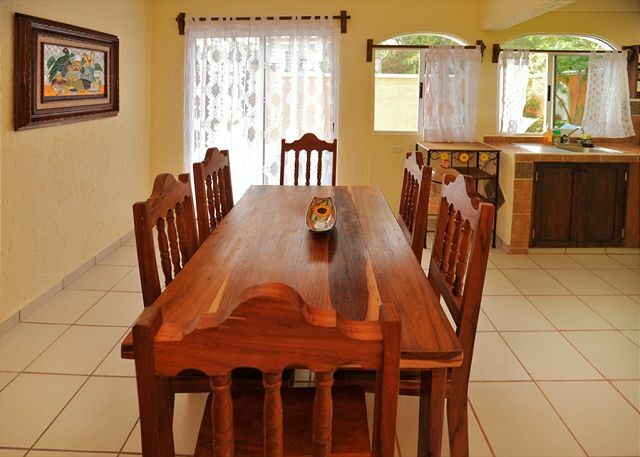 Very nice, clean and comfortable house in Puerto Morelos. Very helpful and professional staff. Nice to have a private house with a pool. About two blocks from the beach. And about ten minuits walk to towncenter. I can really recomend to go there. We were very satisfied with our short stay. Enjoyed the quiet surroundings and felt safe, nothing like previous visits to Mexico in different areas. Our favorite part of our housing was the privacy it provided. Our own pool and outdoor living space created great family time. The staff is friendly and helpful from arrival to departure. 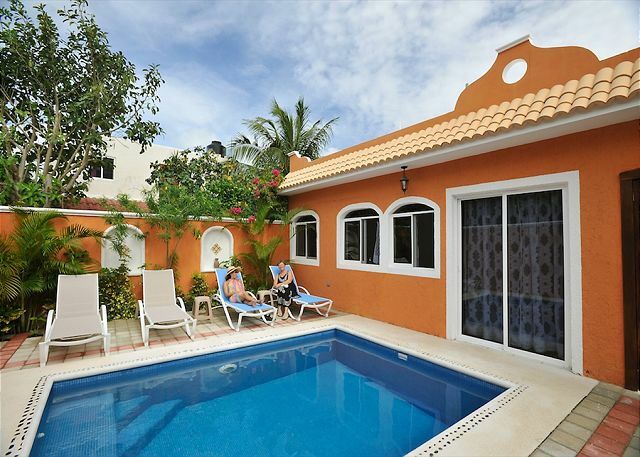 I travelled to Puerto Morelos with two friends for a week, and Casa Primavera suited us perfectly! The location was wonderful, on a private street, only a short stroll from the beach or the centre of town, which had no end of great restaurants to choose from. Casa Primavera was a really convenient home-base, and we spent as much time reading by the pool as we did exploring Puerto Morelos. Abbey del Sol staff--Abby, Tiff, James, Jin and Freddy--were professional, prompt, and polite from my very first online request to the moment Tiff took us back to the airport. I highly recommend their services, and Casa Primavera. We loved Puerto Morelos, and everyone at Abbey Del Sol was extremely friendly and helpful. Jin was especially responsive and did everything he could to make sure we were comfortable. There were a few glitches with our stay (noisy construction next door from early in the morning till late at night made for a less than relaxing vacation. Also, since Casa Primavera was newly remodeled, they were still figuring out the water pressure; it was a few days before we could take a shower that was much more than a lukewarm dribble). Other than that, the location was quiet and though the property was not as close to the beach and town-square as seems to be implied on the website, we found it easy to walk anywhere we wanted. 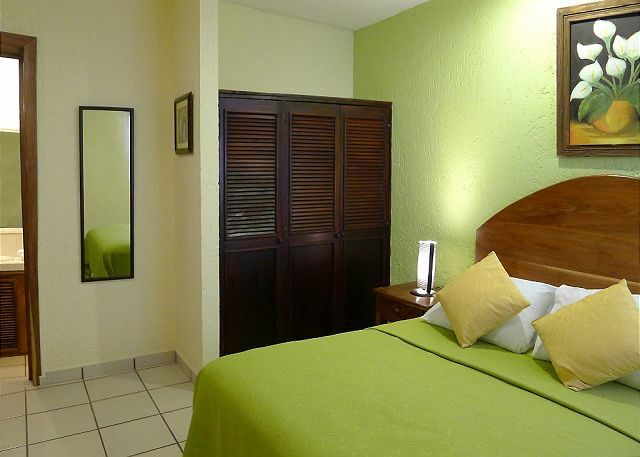 We are thinking of returning next year with friends and family, perhaps renting a larger property with Abbey Del Sol.